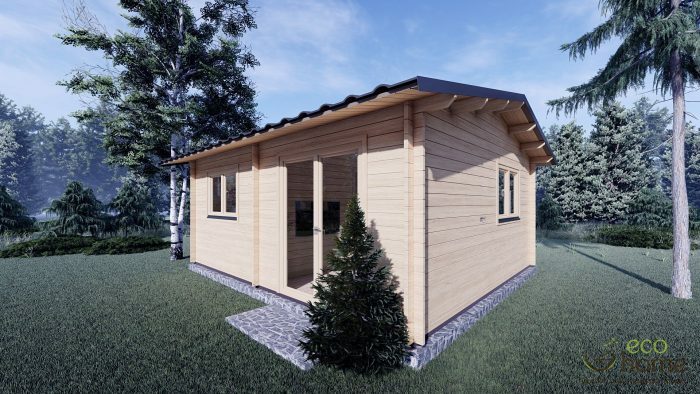 AVAILABLE FOR VIEWING AT OUR SHOWROOM IN TULLAMORE ! 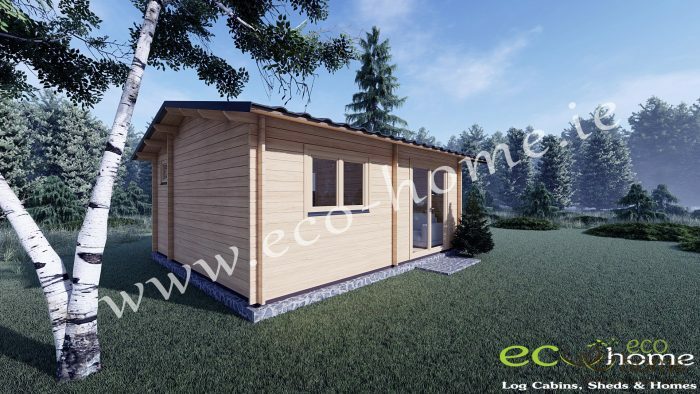 This attractive top spec one double bedroom log cabin is the ideal cabin for one person or couple living or to add some extra living space in your existing home for a relative or visitors. This cabin is an ideal garden retreat and can be enjoyed all year around regardless of the weather. 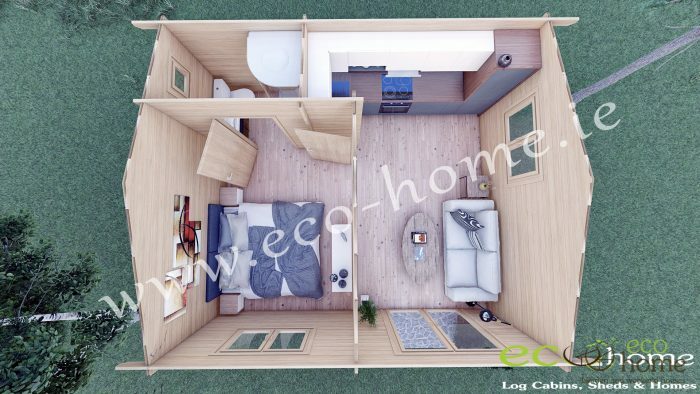 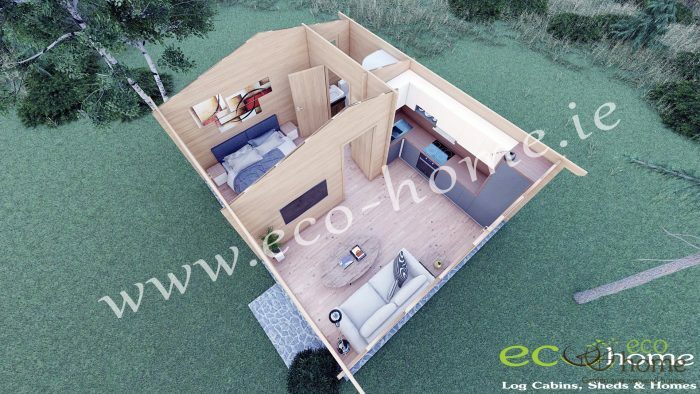 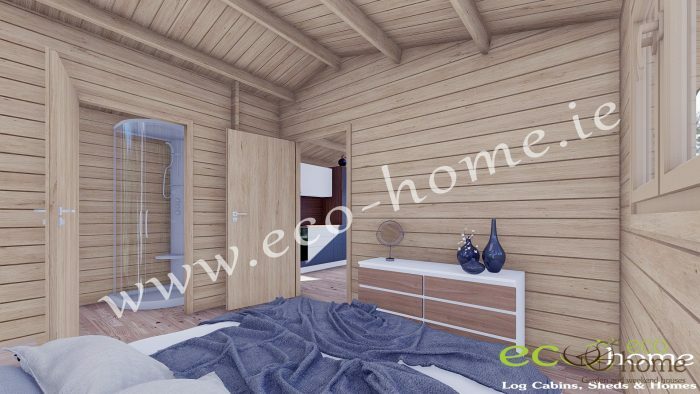 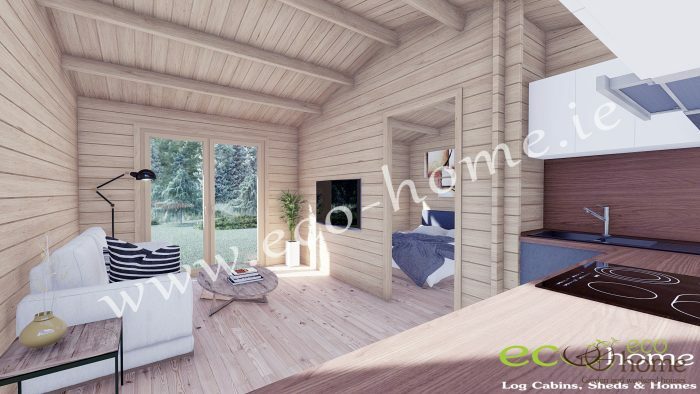 Eco one bed A residential timber chalet would be most popular to be used at Airbnb for renting business that layout was specially designed for Irish market to fit any garden .The cabin has one large open living / kitchen space and one large double bedroom with an ensuite bathroom. The beautiful double doors will fill the living space with light and add style and character to your property or garden. 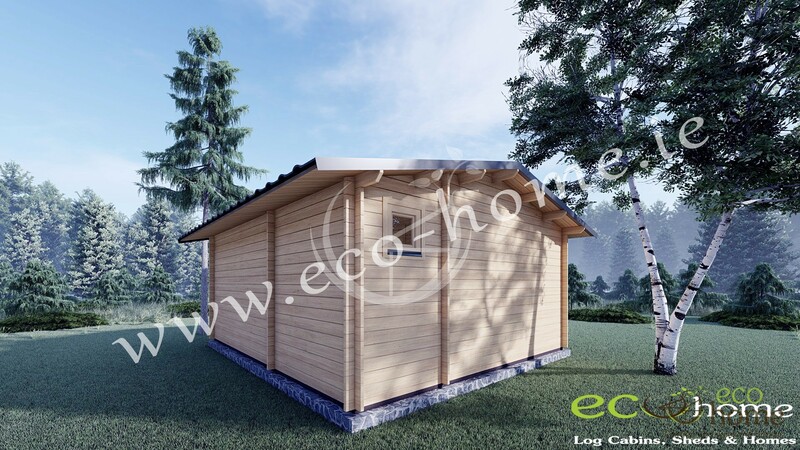 Extra roof overhangs will give you extra protection from the rain. 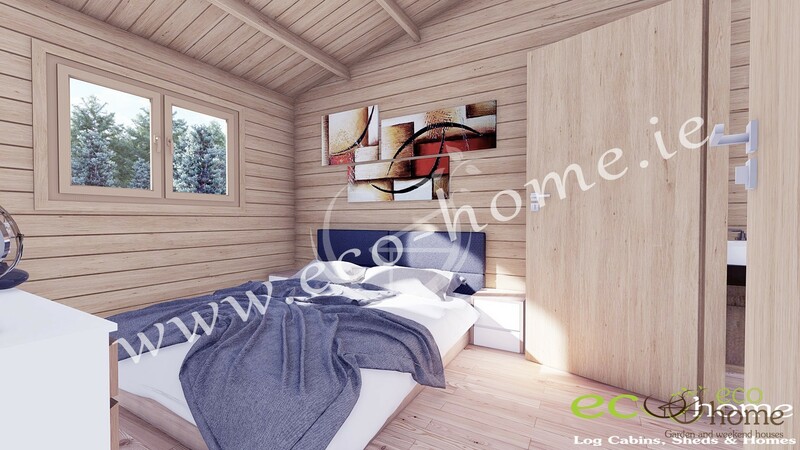 Eco one bed A comes fully insulated and can be used for all year living. 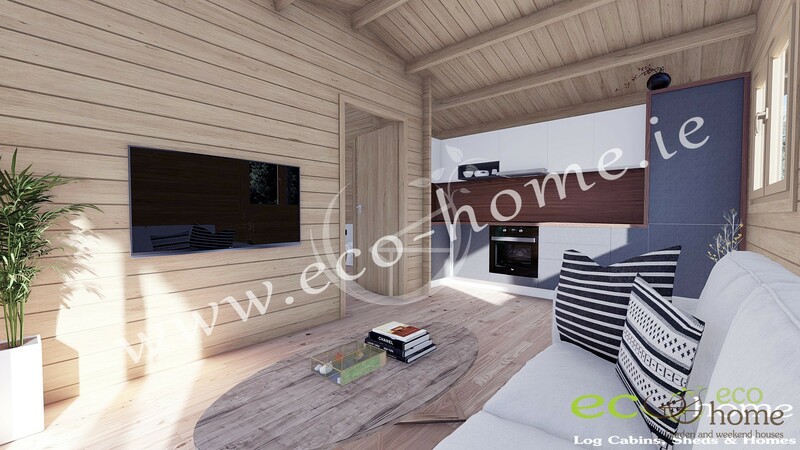 The cabin is supplied with double glazed living type tilt and turn windows and doors. 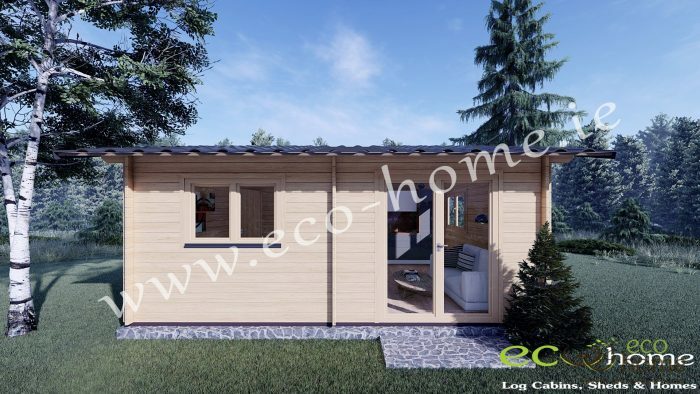 The cabin comes with steel roof tile effect cladding, gutters and down pipes included. Free floor , roof and wall insulation included to keep you warmth in winter and cool in summer . 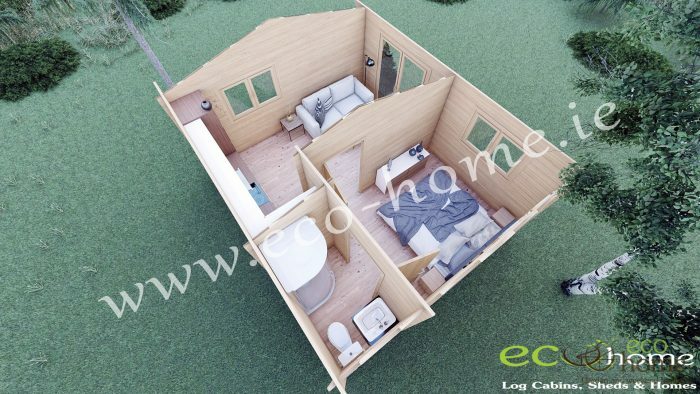 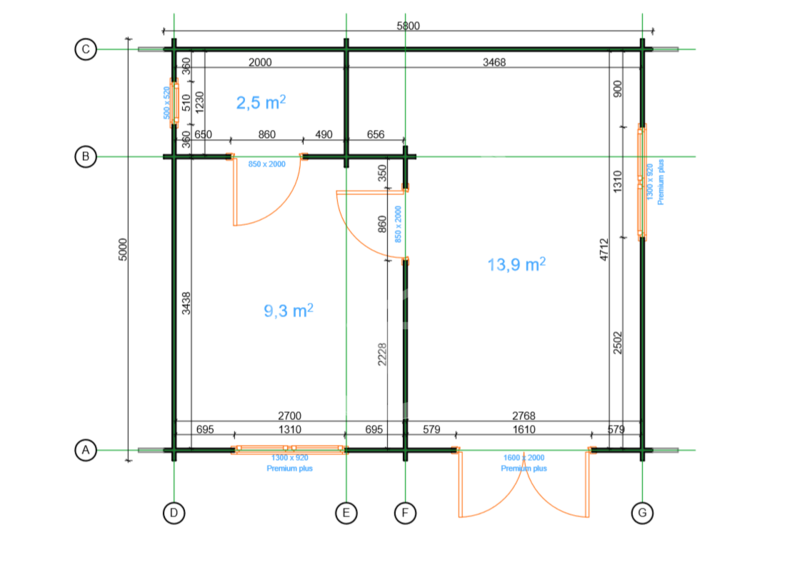 All our cabins are delivered complete with DIY KIT required to build them. Assembly is included in offer price but our experienced professional team can also supply this cabin as DIY kit on request. 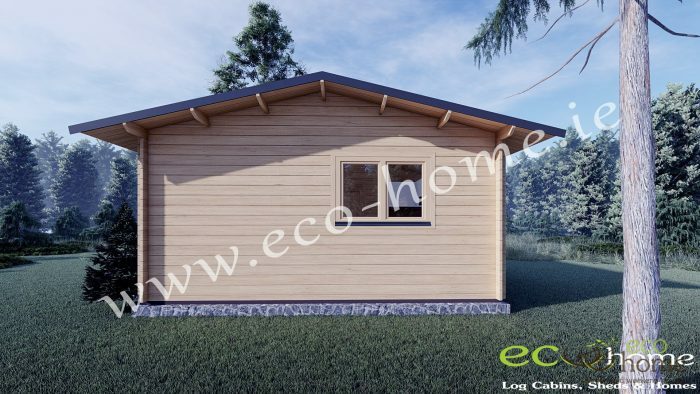 We offer nationwide delivery.